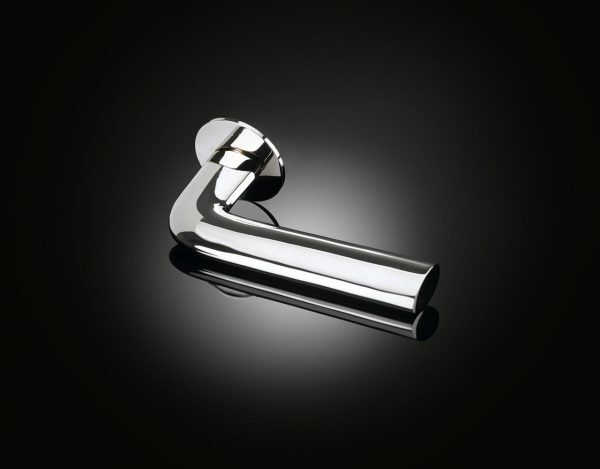 Architect and silversmith Robin Partington designed this handle for residential use. 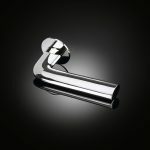 With simple shape and pure lines, the handle, larger than a standard size, is intended to glisten and sparkle. It is made from solid cast brass to give it presence and weight. Like all izé luxury door hardware, the lever handle is available in the full range of izé materials.